Welcome to the second topic in our series! Which I still have yet to come up with a clever name for, so the current working title is MHI in a Nutshell. It just doesn’t have the right… ring to it, but I digress. If you missed the first post, you can find our post here on What is MHI. This week, we’re diving more into the content that we’re creating as a part of our mission to offer education, networking, and solution sourcing for our members, their customers, and the industry as a whole. First, I think, it’s easiest to start with Membership. We are, after all, an association, who has member companies. We area leading trade association that represents the material handling and logistics industry, and our member companies are a large part of why we do what we do. Next week, I’m going to do a whole post on Membership Benefits, but to wet your whistle, some of the perks of being a member are a free microsite, discounts (!!! ), and access to the Online Business Planning Community. One of the things that has grown out of our members are our Industry Groups. 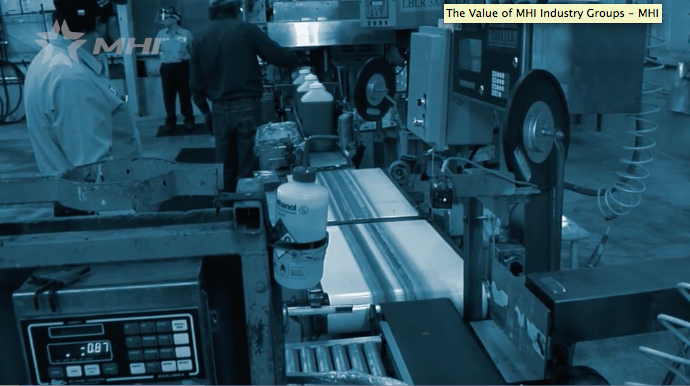 MHI coordinates groups to address common issues and find solutions that fit their teams. You can find a full list of our Industry Groups at mhi.org/industrygroups. Now, as a member of the marketing team, I’m working on doing a lot of prep for our show, this year ProMat 2017. We work with our show running team in Sales and put together a sweet Marketing Kit that is full of ways to promote your participation in the show. We also work on our social media outreach, and you know I gotta push ‘em here. We also have a sweet education department that works to keep everybody informed and prepped for the changes that come in this industry every day. We work very closely with the College-Industry Council on Material Handling Education (CICMHE) to promote material handling education at the university level. Did you know you can actually get degrees in supply chain and material handling? CICMHE brings together different programs to promote high-value teaching and learning and high-value research and innovation in material handling education. Okay, so this post is getting pretty long, but we have so much more to talk about (education for the win)! So I made a part two. Yeah, that’s right *wiggles eyebrows*. We’ve got more to talk about, so I’ll see you after the jump. Click the link. Do it! If that didn’t convince you, I put a mystery video at the end of the next post. If you want to see it, you have to click through.